This was drawn with a 0.5mm mechanical pencil, on a 8�" x 11" High Bright (87) smooth finished paper. Finished off with a thick layer of Workable Fixatif. I drew this pic a very long time ago. I just decided to scan it cause i wanted too. 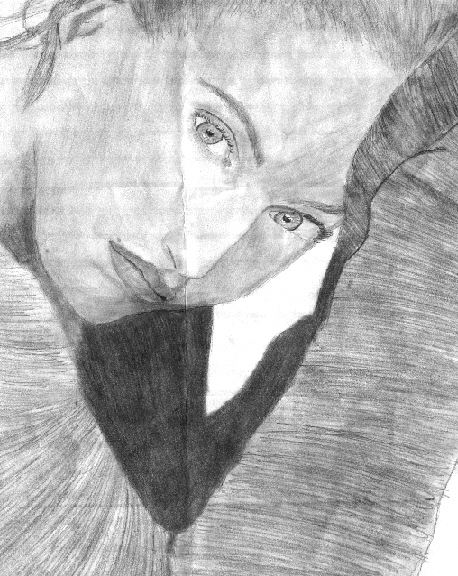 This pic is from Movie line I drew another pic from that mag to, on my page the one where she is looking down.